These images are to be used to promote the mission of Bread & Roses Presents, which is to provide hope and healing through live music for isolated audiences in the San Francisco Bay Area. Please credit as "Photo by Peter Merts, Courtesy of Bread & Roses Presents”. For any other purpose, permission must be obtained in advance by emailing: Marian Hubler, Communications Manager -- mhubler@breadandroses.org. 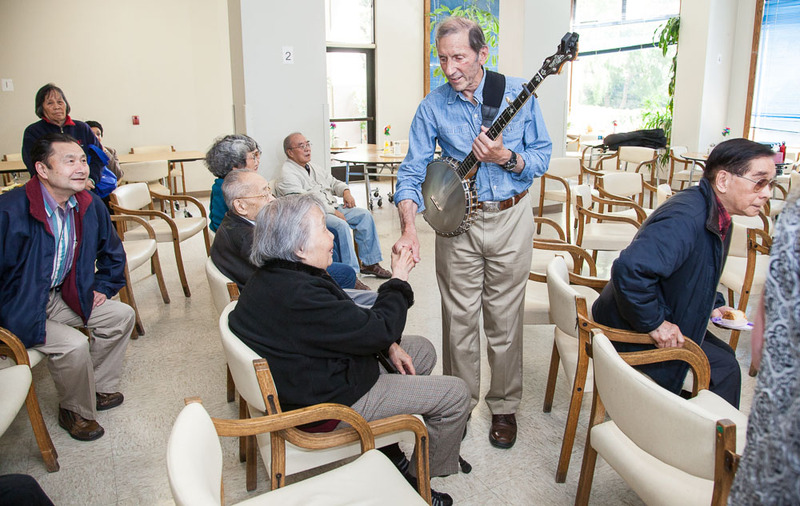 The volunteer performers currently provide over 600 shows per year in facilities throughout the San Francisco Bay Area. The website of Bread & Roses Presents.